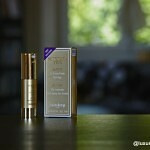 Sisley Cosmetics reinvent their approach of face care with a new face ritual delivered at the Point of Sale. Called Les Soins Botaniques, it provides you what Sisley offers the best in a 15mn express ritual. 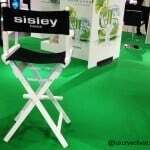 Luxuryactivist was at Sisley’s flagship counter at Jelmoli in Zürich to discover it in avant-première. What makes you loyal to a brand at the point of sales? Well, of course the quality of products and the advice we get from the Beauty advisors counts, but finally it is more the service and the attention you get. If you feel taken care by the beauty advisor, that she listen to your needs, sometimes worries, and that she provides you with a great service, you become a loyal customer. At Sisley Cosmetics, their aim is to place the customer at the heart of their motivation and providing the best cosmetic experience is part of Sisley’s philosophy. This week at Jelmoli luxury department store in Zürich, I met Mr. Christian Stannek from Sisley and he was training the beauty advisors to a new ritual of face care. Called Les Soins Botaniques, the idea is to provide a express face care to a customer at the point of sales by reviewing the ritual of application. By listening to the customer’s needs, Sisley proposes a 10/15mn care blending cosmetics gestures, amazing face massage experience up to soft energy pressure points therapy. And the cherish on the cake is that the face massage is done thanks to 2 precious stone sticks for an ultimate luxury experience. The feeling was a real “luxurious care moment”. Like a symphony that takes you into a relaxing journey. Mr Stannek explained that customers are looking for moments of self-indulgence. They know Sisley products, they know the brand and now they can rediscover the beauty gestures thanks to a dedicated and customized experience at the point of sales. All the beauty advisors of Sisley get a strong and complete training on the new ritual. During the exciting Ladies nights at Jelmoli, Sisley will reveal their new ritual to the exclusive night for Jelmoli best customers. According to Sonja Glavas, Marketing and PR manager of the brand, it is the aim of Sisley to keep their differentiation not only in their products but also in the way to treat their customers. Sisley wants to keep the luxury experience in every step of the customer journey. So now, there are no excuses, allow yourself a “do -me-good” experience. Info sourced at Sisley’s stand at Jelmoli in Zürich. All content is copyrighted with no reproduction rights available.